Hi, I am Sharon Christie, your nurse attorney for Social Security Disability Benefits. 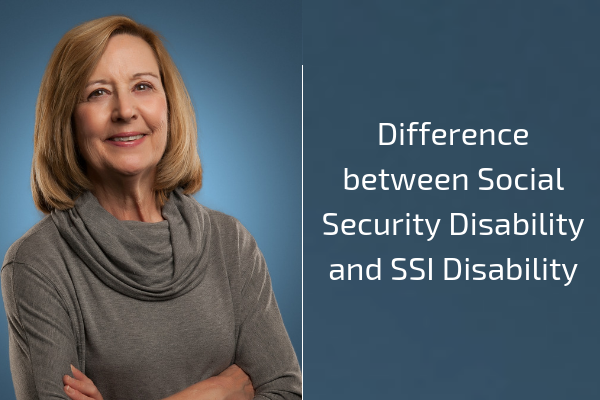 There is one thing that you need to understand right away when you apply for disability benefits, and it’s this: what is the difference between Social Security Disability and SSI Disability. Now, these are two programs that are administered by the Social Security Administration. They are both designed to help people who are disabled and cannot work, be able to obtain some type of disability benefits. So what is the difference? The Social Security Disability Program is based on your work history. As long as you have worked and paid Social Security tac you can apply under that program, and you want to apply under that program. Any benefit that you receive, any monthly payment once you get through the process the amount received will be based on your work history. You will also be eligible for Medicare as your insurance. Now the other program is the Supplemental Security Income Disability Program. All the rules and regulations that apply to the Social Security Program also apply to the SSI or Supplemental Security Income Program. So what is the difference? If you have not worked or have not worked long enough to get enough credits under Social Security to apply for that disability program then you can apply for SSI disability, but the monthly payment is much less and the medical insurance that you will receive as medical assistance. So those are the two basic differences between these programs. When you make your application if you are not sure which one you are going to qualify for, just apply for both.